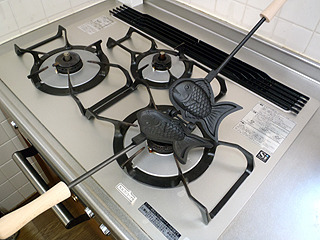 Have you ever heard of ‘taiyaki’ (literary means tai=sea bream/ yaki=baked)? 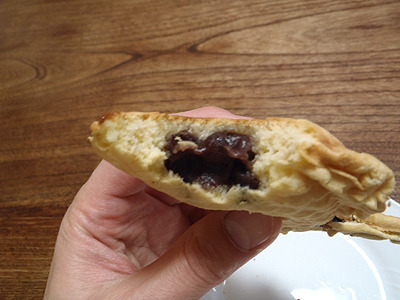 Taiyaki is fish shaped Japanese casual cake with sweet red bean paste filling. 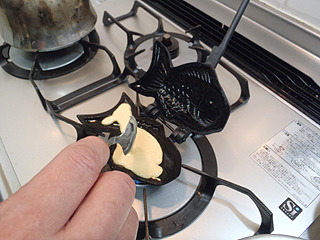 We usually buy taiyaki at sweets shops, and it’s rare to bake it at home. 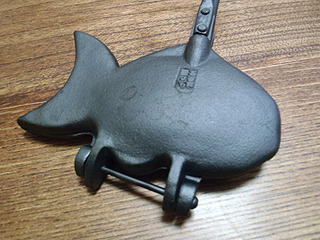 However, our blogger Mr. B couldn’t help clicking the ‘add to cart’ button when he found this taiyaki iron while shopping online. 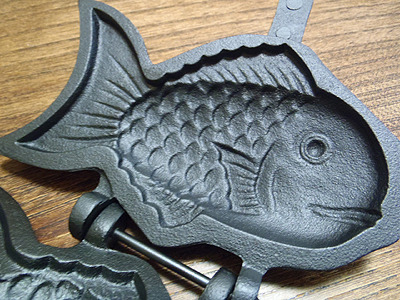 This is a taiyaki iron. 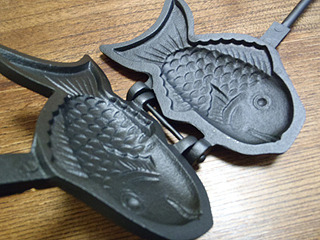 Backside and inside of the taiyaki iron. 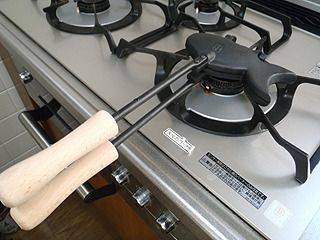 You use the iron like this on the stove. 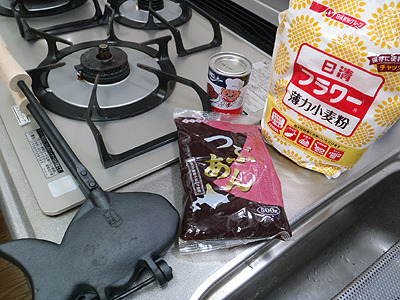 These things are all you need for making taiyaki. 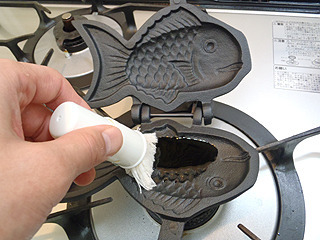 sift flour and baking soda >> mix up again. 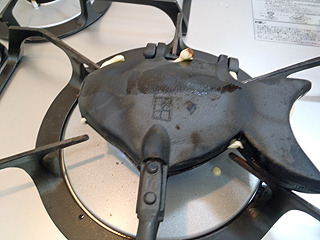 Slightly grease the iron and add some batter. 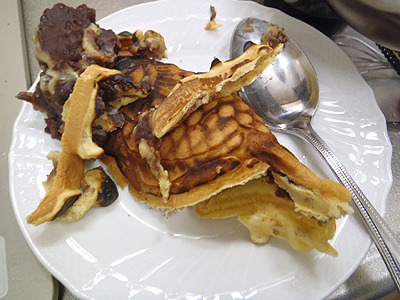 Apply some “anko” onto the half-cooked batter and close the top. OMG (*_*)! Let’t try one more time!! Ta-dah! This is (almost) perfect! 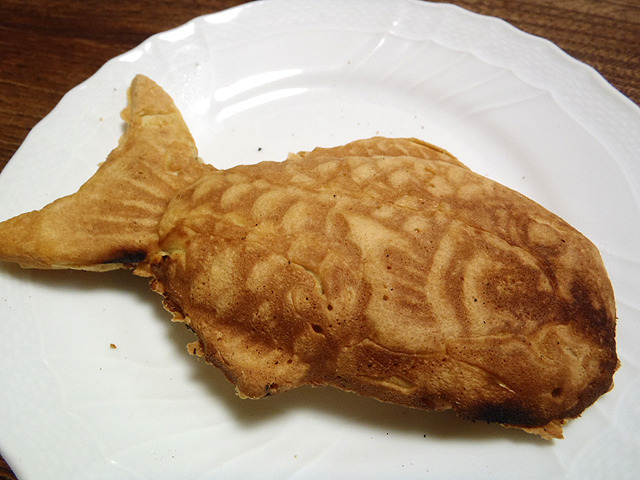 Mr.B looks quite happy with the taiyaki he baked. And soon he will make another, more challenging attempt. 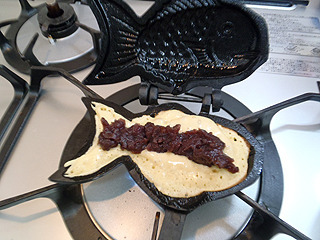 He is going to create some very unique taiyaki next time.